Not quite as retro as the last retro article, but still up there…However, keep in mind that Gyarados was abandoned for a brief period during Battle Roads, so the context that this was written in is radically different than what we have now. There's a great deal of PTCG literature on Gyarados, but I feel that this was great for the time, and has many suggestions/ideas that are applicable today…The only difference is that you have to include 4 Junk Arm. "Yes, the angry dragon/eel/fish is STILL here and kickin’ (or splashing, rather)! Over the past few weeks of going through old tournament reports and decklists, I remembered how well Gyarados has treated me every time I’ve played it. However, I had a small issue with the deck concerning the recent rotation. The exclusion of Claydol (GE), Night Maintenance, and Felicity’s Drawing were something of a hindrance to the efficiency of the deck. Sure, there are cards like Uxie and Volkner’s Philosophy that could fill in, but would it work? Some….no, MANY have completely written of Gyarados until Junk Arm and Rescue Energy are released. While I agreed with the assumptions that the deck won’t work without felicity’s/claydol for a while, I quickly found that the deck can still fully function without them, but THRIVES in a format with trainer lock where using supporters is required as well as a pokemon that can FISH (har har, puns) them out of your deck. He starts off by Fading out 30 to my sableye, promoting his uxie, with regice benched on his side. I impersonate and start setting up, by turn 2 I was swinging with Gyarados for 80 via 2 karps in discard + expert belt and took the game on turn 4. I’m not one for making excuses, but I think I was destined to lose this one. I open Sableye to his Machop. I bench Azelf and Time Walk to find 2 Magikarp and Regice having a little pity-party in my prizes, great…He pulls T1 Machamp while I flail (yeaaaah puns) around with 1 Magikarp in the discard smacking him for 50 thanks to expert belt. He levels up, KO’s my G’dos, and even though I manage to take 3 prizes, he hits a Warp Point for the game. He gets set up quickly thanks to Spiritombs and Sunfloras, but I start abusing Sableye’s ability to set up thanks to supporters and continually Regimove out of Tombs until I have DGX benched and Gyarados swinging for 90+ for OHKO’s. He hits an energy drought 5 turns in and I swept from there out. His deck was completely teched out to consistently beat Gengar, SP, and Vileplumes, but not Gyarados. I had a T1 gyarados swinging for 60 for a while. (I kept the other ‘Karp and a G’dos in my hand for when my current one died from poison to ensure I could still keep a Gyarados out). Once I had the next one swinging for 90+ I swept the rest of the game. His deck was a straightforward Garchomp -6 turn/6 prize-rush deck. He starts first with Ambipom G/DCE Snap Attack on my Crobat G start. I collector for Sableye + Crobat G, attach SP Dark and Expert Belt to Sableye, Flash Bite his Ambipom G, and OverconfiDONK. Game 2: I take a huge prize lead and Flash Bites + Expert Belt OHKO’s on his Kingdras are too much for him. Game 1: Within the first 2 turns, he Jet Shoots my Sableye, but I pull off a Gyarados with one ‘Karp in the discard via Volkner’s followed by a Flash Bite for a crucial return KO out of nowhere. I set up from there on out as we trade prizes. He knows I run Warp Energy, so he avoids relying on Luring Flame. We go down to 1-1 prizes back and forth until he knows I can Regimove for my last prize and we go to game 2. Game 2: I get a faster (full) set up and take a small prize lead but he manages to catch up and make it a close game. He used all 4 Power Sprays to keep me from double Flash Bite-ing his Garchomp C X down to 90 HP since I couldn’t hit an expert belt to save my life. I had to Regimove each turn to take prizes, allowing him to Dragon Rush 4 times in a row. Eventually, his sprays ran out and I hit the 90 HP to KO his Chomp C X taking us down to 1-1 prizes again. He uses Set Up for 5, but whiffs his 2nd Chomp C X (which would give him the win), so he promotes Blaziken FB, attaches a Fire energy and Luring Flames up my Regice. I reveal my Warp Energy and I take the win. I play the same list as before -1 Cynthia's Feelings / +1 Judge. I set up while he takes a couple cheap prizes via Spray Splash/Shadow Room. I eventually get setup and catch up in prizes while avoiding Fainting Spell. He started to run into an energy drought as well as prize issues and I take the win. We both set up well with him hitting full setup within 2 turns without sableye, which was pretty sick, but he hits a crucial Reversal on my belted Crobat G to pretty much seal the game after we traded prizes for a while. GG man! He starts bronzong call to my sableye as we both start to set up. He gets some solid plays in, but lack of Lucario as well as needed Sprays clinched the game in my favor. I got a few real nice OHKO's and a couple SSU's to seal the victory. Sorry we had to play, duuuuude. Not much to this match. She opens with Uxie to my lone Magikarp. She passes, I topdeck regice/collector for 2 karp and a Crobat G, drop my hand size, flashbite, and pull the T1 gyarados Tail Revenge for 60 and donk. We play two more (2/3) and she donks me the second game and I take game 3. He opens with his Dialga G tech and starts to set up but can't hit a Cyrus for a while, but unfortunately for me, he was able to bright look my Regice for 4-5 turns while we both sat there hoping to topdeck something, lol. After a few turns, we both go back to actually playing/trading prizes. He hits a few big KO's but I manage to keep up the prize trade and take my last two prizes via Flashbites on benched Garchomp C X/OHKO on Dialga G X thanks to tail revenge + e-belt + SSU on a crobat G.
G1) He runs alllll over me with sprays/bright look KO's/Galactic's HQ spam. I took 2 prizes to his 6 iirc. G2) I actually get to set up, but have to deal with poison structure/Galactic's HQ seeing as I can't hit a BTS for the life of me. T2 I impersonate a Judge that really throws him off, giving me a turn or two to set up. We trade prizes for a while with him having a 2 prize lead until I hit a huge SSU to keep me in the game. Time is called and he knows I can take my last two prizes within the time limit so we head to Sudden Death! SD) We set out one prize each, and fortunately for me, he doesn't start with luxray or garchomp, and I started with sableye. I get the T2 Gyarados and manage to take the prize thanks to volkner's netting me and expert belt. G1) I get T1 Overconfident on his magikarp, he promotes again and starts to mount a set up, so I do as well. I Impersonate a collector and realize that a magikarp, azelf, and 2 rescues are prized….I get up one gyarados that he manages to OHKO and I scoop knowing I won't be able to take a prize. G2) We both start to set up smoothly when I happened to score a KO T2 with my g'dos to his sableye, then smack his gyarados for 90 followed by an overconfident KO which he return KO's with his Gyarados. The next turn, I flashbite 4x and OHKO his gyarados and he can't keep up by then. It ended up pretty close. G3) This game definitely went more in my favor as I got a solid T1 gyarados hitting for 60 and played my belts very carefully. I ended up being able to draw into most of what I needed and OHKO'd a gyarados, to which he had to stall a turn or two which gave me a 2 prize lead. He played a solid game; it's always fun to play Taylor. It was a great tournament and I was glad to see 5 rounds with a full Top Cut for a BR both events. Feel free to discuss your thoughts on the deck, criticism is always welcome when rational. Hopefully the article can at least put to rest some of the speculation regarding Gyarados’ viability, but I certainly wouldn’t expect that these results are completely typical across the board for everyone." I've been writing a lot of Luxchomp tournament reports lately, but the only problem is that I don't do much guiding as to what plays are ideal, what plays are not ideal, etc. In order to help iron this out, I decided to post an article written by 2010 Worlds Qualifier Alex Fields, a.k.a. Butlerforhire. While the content located herein pertains to the Diamond and Pearl-on format, you'll find that it is very much relevant even today. "Although Nationals is just a couple days away, Alex Fields (butlerforhire) wrote an excellent Luxchomp analysis I wanted to share with all of you. So if you're still unsure about what you want to play, or how best to prepare for Nats's most popular deck, then this article will help you in many, many ways. This is the reigning titan of the current format and has been for the majority of the season. Every single player from all three age divisions needs to be well-educated on how this deck works if he or she expects to do well at National and/or World. The deck has been strong ever since it debuted with the release of Supreme Victors, although the re-release of DCE– Garchomp C lv. X's fuel of choice– has elevated it into an overpowering position over much of the format. For this article I will begin by explaining how the deck works and then move on to an analysis of its match-ups and finally how to play against it. I will be writing from the perspective of one who is using Luxray/Garchomp, not playing against it. – Both of the primary Pokemon can attack anything your opponent has in play– Bright Look brings your chosen target active and Dragon Rush snipes as you see fit. Nothing is ever safe for your opponent or out of reach for you. – Garchomp C, Luxray GL, and Ambipom G can all donk on the first turn with the aid of DCE and, if going second, Energy Gain and Flash Bite (s). – The TGIs allow you to: shrug off damage with Poketurn and reuse your game-winning Powers, negate whichever of your opponent's Powers you choose with Power Spray, accelerate your attacks with Energy Gain, and search out whatever SP Pokemon you want– including lv. X cards– with SP Radar. – Cyrus' Conspiracy hooks you up with any of those TGIs as well as the energy you need to attack and the Supporter of your choosing, generally another Cyrus to keep the flow of TGIs, energy, and options going. – Garchomp C lv. X's Healing Breath forces your opponent to OHKO you or often end up wasting turns doing damage that will just get removed with this broken Power. It also cleans up messy Flash Impact recoil damage. – Crobat G and Toxicroak G can both poison; in certain match-ups, this is a big deal, particularly Donphan (which is otherwise often un-winnable once set up, barring specific tech-work against it such as Frost Rotom or Quagsire GL). – Bright Look gives you constant control of what your opponent has in the active position. You override his or her choice of an active Pokemon every time you level up. There are all kinds of broken tactical advantages that this gives you; an entire article could be written solely about Bright Look abuse. – Ambipom G can move your opponent's energy around and possibly remove it from play if you target something to transfer the energy to with an Unown G on it/something like Mewtwo lv. X that can't be affected by you. – Crobat G lets you rain down a damage counter anywhere you want, which is amazing when that single damage counter nets you a KO you otherwise would not have gotten. With Poketurn, you can bridge all kinds of damage gaps standing between your attack and a KO. – Bronzong G lets you move your energy around, allowing you to: not fall behind in energy drops when you Poketurn something energized, execute surprise attacks that your opponent didn't think you'd be able to power up that turn, conserve energy if you are about to suffer a KO, etc..
– Lucario GL makes all Pokemon in play double weak, which still matters– even though double-weakness is back for everything in the HGSS block– because prevalent pre-HGSS Pokemon like Gyarados and sometimes Flygon/Garchomp/Kingdra/Machamp are only +30 weak with huge HP. With their weakness modified to double, you can get important OHKOs on them. The ideal start of the deck varies from match-up to match-up. Sometimes, an opening Garchomp C with DCE is very strong, while other times you want the Luxray GL start so you can be primed for a turn 2 level up and Bright Look. Still other times you will be thankful to open with Amibpom G and DCE against your opponent's low-HP Basic. Going first, Call energy is often desired to get you set up and take away any risk of being donked; it can also give you the opportunity to Power Spray your opponent on their next turn by giving you a total of at least 3 SP Pokemon in play. Going second, you can play Energy Gain and will often want to attack right away even if you do have Call in hand; Garchomp C can do a respectable 50 if you have the DCE and the Energy Gain, for example. You can also play Roseanne's Research or Pokemon Collector to provide you with the set up that Call would without sacrificing your chance to attack. This is one of the deck's few unfavorable match-ups. Donphan's Body is especially effective against you because your damage output is relatively low– with an Expert Belt attached to Donphan, you need to Dragon Rush it twice AND hit it with 2 Flash Bites in order to get a KO. Meanwhile, your opponent can SSU the Donphan or heal it with Blissey(PL or HGSS)/Nidoqueen/Pokehealer. Luxray is rendered largely impotent as it is OHKOed by Donphan for a single energy and also only hits it for 20 with Flash Impact after resistance and Exoskeleton are factored in; for these reasons, it will remain out of the action in the match-up aside from the occasional Bright Look, which will typically be used to grab a prize on something that isn't Donphan at the end of the game to seal the win or to bring up a bench sitter like Claydol or Regirock so that Garchomp can snipe comfortably for a turn or two. The opponent will often get a quick active Donphan into play using Earthquake while powering another Donphan on the bench for Heavy Impact. With Expert Belt, that second Donphan is able to OHKO every card in Luxray/Garchomp, which is problematic. The best way to play against Donphan in the absence of a direct counter capable of OHKOing it such as Frost Rotom is to use Crobat G as both an attacker and a buffer. With Fighting resistance, you require the opponent to Belt and use Heavy Impact while you can begin double-Poisoning them for a single energy (and Energy Gain). The idea is to Toxic Fang, take your hit from Earthquake, retreat for Garchomp C, level up and heal everything on your side, and then Dragon Rush it. As long as they have remained Poisoned and aren't Belted, you will be KOing it (3 rounds of Poison for 20 and 60 damage from Dragon Rush); even if they are Belted, Flash Bite can be used to make up the difference (Donphan should already have a damage counter on it from the Flash Bite you used when you brought Crobat G into play so all you need is one Poketurn or a second Crobat G to bridge the gap caused by Expert Belt). You can also take the route of teching specifically against Donphan with a Water-type attacker. There are a number of options to choose from, but the best is Quagsire GL. It does not OHKO Donphan but it can provide the same function as Garchomp C lv. X by getting the KO immediately after you Toxic Fang it, running away to the safety of the bench while that same Crobat G (that should have been Poketurned after taking a hit from Earthquake/non-Belted Heavy Impact) comes active as a buffer. If your opponent ever gives you the chance to KO a Phanphy (typically via Dragon Rush, although you might also be able to Bright Look + Poison Revenge, etc. ), you should generally take it. Don't expect your opponent to bench a Phanphy they can't immediately evolve often, though– with BTS or Rare Candy there will often not be a Phanphy hitting the bench that does not become a Donphan in the same turn. Take advantage of the rare occurrence when it arises. Also take as many of your prizes off of benched Uxies/Claydols/Relincanths etc. as you safely can. Sometimes it is okay to sacrifice Luxray GL lv. X to grab prizes off of these Pokemon, particularly if you only need a KO or two to end the game. This match-up is the main reason that Lucario GL is included in the deck; getting it out is a priority here and thus it should be one of the first cards you Call or Roseanne's/Collector for. The goal is to be able to OHKO Gyarados while either avoiding the OHKO in return or having the means on hand (Aaron's is searchable and easy to grab in advance) to resurrect a Luxray GL lv. X immediately after that KO does come. Gyarados is only able to OHKO a fresh Luxray GL lv. X with damage modifiers, usually in the form of Expert Belt or two Flash Bites (or two PlusPower, although they are less common). You can't avoid the Expert Belt, although you can take advantage of its presence by making sure you have an Aaron's, a Crobat G and a back-up Luxray ready to Trash Bolt for 2 prizes on your turn. The Flash Bites, fortunately, are avoidable with Power Spray; Flash Bite is the main Power that you will be Spraying here. In addition to setting up Luxray to OHKO Gyarados, you should also set up Garchomp C lv. X to take as many easy prizes off of your opponent's low-HP-filled bench as possible while also providing a full heal for Luxray after it has been hit with Tail Revenge. Virtually every supporting Pokemon in the deck aside from Regice is OHKOed by Dragon Rush. For Gyarados to be able to OHKO you, they will once again need damage modification. The supply of Flash Bites will eventually run out between attempts to OHKO both Garchomp and Luxray, and Belt makes them give up two prizes while only gaining one, so you should be able to take 6 prizes before they do through your ability to maintain a steady stream of OHKOs. If your opponent drops an Azelf before you have seen all 4 Magikarp and you have the means to Power Spray it, do so because you are likely cutting off access to one (or possibly more) Magikarp that is stuck in the prizes. If you can reduce Tail Revenge to 60 base damage, you have essentially already won– you will never be OHKOed and you will always be able to OHKO their Gyarados as well as their entire bench. If your opponent benches Regice, you should Bright Look it up and Dragon Rush around it for easy prizes for as long as possible. Your opponent will be forced to waste SSUs or Warp energy on it due to its high retreat cost and the deck's low energy count. You might eventually be able to lock it active and either win the game on time or take your remaining prizes from the bench. Although Regice is a liability for the opponent once you target it with Bright Look, its Power can lead to Gyarados taking easy prizes off of your bench- while your opponent may not be able to OHKO your active Luxray or Garchomp lv. X, nothing on your bench aside from another Luxray or Garchomp lv. X can withstand 90 damage. You can tech in a Looker's Investigation or a Judge in order to push the match-up further in your favor. The deck needs to keep its hand large and well-stocked with Pokemon Rescue and back-up Gyarados in order to keep attacking, and having a 10+ card hand full of those crucial pieces reduced to 4 or 5 random cards right before you KO his or her Gyarados is usually crippling. This match-up is lopsided in Luxray/Garchomp's favor due to Kingdra Prime's double weakness to Luxray combined with Kingdra's difficulty in dealing 110 damage. Although Kingdra can OHKO Luxray GL lv. X or Garchomp C lv. X with a bit of effort, such as a Belt and 3 Spray Splashes/Flash Bites, it will be a relatively rare occurrence– Power Spray's ability to negate a crucial Flash Bite or Spray Splash lowers the odds of a OHKO even further– whereas your type advantage and damage output lets you OHKO Kingdras with ease. If your opponent does pull off a OHKO, they will almost always be Belted and since you have the means to return the OHKO for two prizes, he or she will usually suffer more than you do. You should focus early on crippling the opponent's set up in the usual way through Dragon Rushing Claydol and Spraying Uxie. If the opponent cannot Cosmic Power, the amount of Kingdra Prime that come into play will be low and you will have even less of a chance of getting OHKOed by a swarm of Spray Splashing/Belted Kingdras. Perhaps more importantly, cutting off the opponent's draw power should also make it harder for them to access the Luxray counter that most lists will run, such as Donphan Prime or Machamp. If you do have to deal with one of these counters, don't panic- most lists won't run more than 1 line of the counter of choice and you can KO it with the same tricks you would use if you were playing against it in its own deck. Poketurn and Healing Breath render Spray Splash a non-issue as long as it isn't aiding a OHKO. Other decks have to worry about the damage being spread across their field because it is permanent, but you do not have to share that concern because you have two unstoppable ways to negate it. One way that Kingdra might pose a problem is if it goes off on turn 1 and is able to OHKO your opening Basic; 80 damage is much easier to do than 110. You might also get hit by Judge and find yourself unable to access your lv. Xs, which would generally mean a loss. On the other side of this, you can donk Horsea and Baltoy with ease– Luxray GL with a DCE is a Flash Bite away from OHKOing LA Horsea and Garchomp C with DCE and Energy Gain OHKOs both Horsea and Baltoy. Luxray GL lv. X OHKOs the central Pokemon of the deck, Palkia G lv. X, which gives you a huge natural advantage. However, the threat of a counter-KO from Toxicroak G keeps you in check. Azelf MT is also used to add C to all of your attack costs, which combined with the constant Power-locking from Mesprit/Power Spray that the deck is founded upon and the threat of Hydro Shot and Dragon Rush on anything you try to develop makes the game more difficult for you than simply "Flash Impact every Palkia G in play for the win." If you can take out Azelf MT with Dragon Rush without losing your Garchomp to your opponent's own on his or her next turn, you should generally do it to keep Downer Material from crippling you throughout the game. Once you start suffering KOs on your over-energized Pokemon and have to sit there and essentially pass a few turns for lack of energy on the field, you will allow the opponent to take control and keep you in a position where you are playing from behind permanently, which you clearly do not want. Take any KOs on Toxicroak G that you can get. Your opponent might keep that card in hand along with a Psychic and an Energy Gain for the "surprise" drop– really it is just to keep you from getting any hits on it before it attacks since no good player should be "surprised" by it at this point– and if so, you will just have to capitalize when it does hit the field. The best way to KO Toxicroak G is with Uxie lv. X– Dragon Rush plus Flash Bite is unreliable since you can be Power Sprayed or locked by Mesprit and come up 10 damage short. The very presence of Luxray should keep Palkia on the bench for the majority of the game unless there is no threat of Flash Impact/Trash Bolt during a given turn (which can be arranged with Azelf MT). The absence of Palkia in action is nice for you because it means you will only have to deal with Garchomp C and the occasional Toxicroak G/Uxie lv. X as attacking forces. You should attempt to counter the Garchomp C with Ambipom G or your own Garchomp C just as you would in a mirror match. If you run 2-2 Luxray or have an Aaron's/Premier Ball in hand, you can go ahead and target the Palkia G lv. X and suffer the Toxicroak G retaliation sometimes to your benefit, especially if you also have the means to OHKO that Toxicroak G lined up. Just do not give up a Luxray GL lv. X when you don't have a way to get another one out immediately or if you will fall into the Downer Material deficit as soon as you are revenge KOed. This is one of those match-ups that becomes harder and harder the more that the opponent is allowed to develop. If your opponent begins relying on your Cyrus' to fetch Judge with Telepass (after Spiritomb has left and you are being attacked with Gardevoir/Gallade), you can stop it, although you won't know what your opponent is going to do with their Telepass until after you let them use it. Thus, you should consider the game state before you decide whether to Spray Cosmic Power or Telepass; if you fear having a Judge searched out and used against you, Spray Telepass. If your opponent opens with something other than Spiritomb, it is wise to assume that he or she does run it and will be attempting to get it active against you as soon as possible. Thus, you should use the trainers you can during that window when you aren't Keystone Seal locked– get lv. Xs with SP Radar a turn early, drop Energy Gains, and so forth. Most lists will run 1 or 2 Mesprit to lock you out of Powers the turn (s) before they begin using Psychic Lock. With Spiritomb active, you can't Spray Psychic Bind and have even less of a window to try to get an important Bright Look off. Some lists also run Azelf MT as well, so be wary of it. 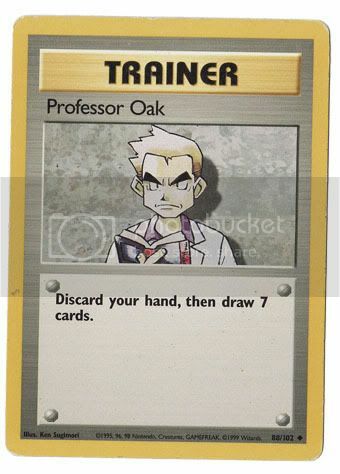 Not being able to use trainers, not being able to use Powers, having your hand reduced to a random 4 cards, and having your attack costs all raised by C will almost certainly guarantee a loss for you, so use everything at your disposal to avoid falling completely into this hole. Psychic Lock strips you of Powers, and your deck runs on them– this is obviously bad for you. Even worse, you will not be able to build up a huge hand full of options due to the aforementioned Judge, which the deck will often run between 2-4 of. You can expect Judge to be used against you with even more frequency than Gardevoir uses it against other decks– due to your own Cyrus' and Telepass, it can be searched out. You also rely on hand-stacking– via Cyrus'– more than most decks and are thus a better target for hand disruption. Gallade is another potent threat against you, being able to OHKO every card in your deck with Psychic Cut. Against Luxray, it doesn't even need to flip any prizes over to do so. As devastating as Psychic Cut can be against you, you can view the assault from Gallade as a cloud with a silver lining since it will give you the opportunity to use Powers and get back into the game. The best way to approach the match-up- although with Spiritomb, Mesprit and Judge disrupting you it isn't always possible– is to get hits in on Gardevoirs and Gallades before they can hit you with Bright Look and Dragon Rush so that when they do strike, you will only have to attack once more to KO them. Because both Pokemon attack for 3 energy, it will take your opponent at least two turns to prime the next Gardevoir or Gallade, and in that time you can do the same thing– hit them before they can hit you and keep them a step behind the whole game. Most of the time, they will not have either Pokemon powered up until turn 3, and even then they may not be able to attack you due to the lack of Moonlight stadium or Unown Q to retreat their active Spiritomb. If you can immediately Cyrus' for a Bebe's and get Luxray GL lv. X into play, you can not only attack your opponent before he or she is ready, you can also play your TGIs. If you run Uxie lv. X, you have the opportunity to OHKO Gardevoir and Gallade with Lucario GL in play (Gallade requires a Flash Bite). The downside to using Uxie lv. X to attack is that it will get return-KOed by Psychic Lock. You can also use a Mewtwo counter like Mismagius effectively here, either stripping the opposing Gardevoir of an Expert Belt/however many tools you want to get rid of on your side and dealing decent damage or using Horror Chant to hit for 70 while returning a charged Gardevoir/Gallade to your opponent's hand. Mewtwo fits into Gardevoir easily and is impossible to OHKO if your opponent uses Psychic Lock or Psychic Bind the turn before they level up– you can't Flash Bite it and you can't Bright Look it, so you will be dealing with Mewtwo lv. X. If your opponent benches it before they lock your Powers, try to OHKO it as usual or begin setting up your counter. If you play Judge or Looker's in your list, do not use it in this match-up unless you are in dire straits and absolutely need the hand refresh to remain in the game. Otherwise you will be getting your hand disrupted potentially every turn that a Gardevoir remains in play. If you run Chatot, you may be able to win the game with Chatter against Spiritomb. Warp energy is uncommon here, but you may see Unown G. If your opponent's bench is already full and they have no way to KO the Spiritomb with Darkness Grace damage, go for the lock. Out of all the decks in the format, this is the one that can cause you the most trouble if it fully sets up. The goal of your opponent will be to keep you from playing trainers for as long as possible with Spiritomb, which does not go away after the first few turns as it does in most other set up decks which use it. Gengar AR will Shadow Skip and switch out to Spiritomb repeatedly, letting you take prizes on them while keeping Gengar safe on the bench. With Expert Belt, Shadow Skip does 80 damage, which is a big deal considering Gengar lv. X's Level Down and your inability to play Poketurn with Spiritomb active. If your active Luxray or Garchomp lv. X is targeted by Level Down and you can't block it with Power Spray– whether it is due to Spiritomb or simply having none in hand– you will lose your de-leveled Pokemon to a Belted Shadow Skip. You can also be hit with a Belted Shadow Skip first and then get Leveled Down for an instant KO on your opponent's next turn with no chance to use Poketurn due to Spiritomb. Both of these scenarios are bad and difficult to avoid. You can also anticipate having your hand disrupted with Judge or Looker's Investigation (or maybe a combination of both). The way to win this match-up is to disrupt the hit-and-run strategy that the deck depends upon to succeed. Bright Look and Dragon Rush let you do this, although because of Spiritomb and Level Down you will have a hard time maintaining the control. Bright Looking Claydol– especially if they have already dropped what is likely their lone Unown Q on Spiritomb– and sniping Gengar is one of the best plays you can make here. Poketurning your level Xs when you are not attacking with them can also be wise because then you only have to fear Judge/Looker's and not the once-per-turn Level Down. For example, if you do Bright Look Claydol and have Garchomp C lv. X waiting, you can Poketurn the Luxray GL lv. X up so that you can repeat the process once the Claydol ends up back on the bench. Keep in mind that Gengar resists Garchomp. With 160 HP once leveled up and Belted, you KO it with 2 Dragon Rushes– but only if it is on the bench. This shouldn't be an issue since it runs to the bench every turn anyway, but there may be a time when you need to break the Spiritomb lock and are tempted to bring up Gengar over something like Claydol thinking you can still 2HKO it with Dragon Rush. Don't make this mistake. Bright Look is also your way around Keystone Seal, so take advantage of the break in the trainer lock whenever you are able to send a Spiritomb to the bench– drop Energy Gains, use SP Radars, etc.. If your opponent gets SF Gengar in play and threatens to use it over Cursegar, manage your trainers as well as you can– it will be harder under Spiritomb lock. Fortunately, if you are attacked by SF Gengar, you will have the chance to play as many trainers as you want afterward because Spiritomb will not be in the active position. Because the deck is psychic, it can easily run Mewtwo lv. X, so be wary of the possibility for its appearance when you go into the match-up. If you run Mismagius as a counter, you're in luck on two fronts because you will find that it has another, non-Mewtwo-related use here: sending charged Gengars back to your opponent's hand with Horror Chant. If you can pull this off, you will set your opponent back 3 turns and also open them up to the vulnerable position of having to bench and attach to a Gastly that you can snipe or bring active with Bright Look. If you run Belt AND Mismagius, you can even OHKO Mewtwo at the same time that you send back the Gengar to your opponent's hand– you'll now be doing 120 to the Mewtwo with Horror Chant. You can just discard the Expert Belt later with Crash Chant if your opponent threatens to KO you so that you don't give up the 2 prizes. If you run Chatot, you may be able to win the game with Chatter against Spiritomb, but you probably won't be so lucky since most lists will run 1-2 Warp energy/Unown G. If you see that your opponent has already played a Warp energy or two or their (likely) one Unown G, you might be free to secure the lock. Jumpluff becomes a troublesome match-up when your opponent is able to set up a volatile field of Claydol(s) and Jumpluffs and score OHKOs on your lv. Xs, which is not difficult– with a full bench on their side, 3 Pokemon on yours (2 benched and 1 active) and an Expert Belt/2 Flash Bites, 110 damage is being dealt for a single energy. If you have 4 Pokemon on your bench, Mass Attack is already starting at 110. Playing with a small bench hurts you because it limits your options– you are going to be paying for your Uxie/Azelf drops, for playing Bronzong G down, for trying to set up 2 Luxrays and 2 Garchomps at the same time, etc.. You should attempt to keep your bench as small as possible even though it is detrimental to your development; you don't want to give your opponent OHKOs if you can help it. As is the case against any deck, you should attempt to prevent set up and keep Jumpluff from coming into play/a swarm of Jumpluff from developing. The problem is that the deck tends to run 2 Uxie and 3-3 Claydol as well as Broken Time Space and 4 Pokemon Communication. It is thus not unusual for a Jumpluff player to get an Uxie and a Claydol out in the same turn, followed by a 2nd Claydol soon after, and if that happens, your Sprays might as well be saved for Flash Bites/Bright Looks because you won't be able to Spray enough to cripple them. Trying to simply OHKO every Jumpluff you see with Flash Bite/Dragon Rush is not the best way to approach the match-up unless you are able to cripple your opponent's set up to the point that they cannot maintain a swarm/cannot OHKO you back. You will generally run out of resources before they do if their set up is solid enough– Flash Bite is needed for you to get the OHKO and you will have to reuse it via Poketurn, which means you will have less of those to heal your Garchomps or give you additional Bright Looks. The best course of action against a Jumpluff that fully sets up is to snipe the bench after bringing Claydol active with Bright Look. If they attach energy to the Claydol to prepare for a retreat on their next turn, you retreat yourself for Ambipom G and Tail Code that energy to something irrelevant like an Azelf. Your opponent will generally recognize the futility in attaching any more energy to that Claydol because it will always be removed immediately after it is dropped. This hurts Jumpluff in two ways: it depletes their low energy count and it keeps Claydol trapped until the opponent draws into a Warp Point. If their bench isn't full, beware the Unown Q that will allow them to retreat with only one energy drop. Make sure that you have both a Power Spray in hand as well as a way to KO that Unown Q before you attempt to perform the lock. You might have to deal with it again if they Night Maintenance/Palmer's it back, and the odds are that you won't be able to stop it again. However, even if Claydol does eventually return to the bench, the disruption you perform to their energy, the time you make them waste, and the easy, safe prizes you allow yourself to take with Dragon Rush all make it well-worth it to initiate the lock. If your opponent runs Judge and/or Azelf MT, you can get locked out of the game, especially if you overextend and walk into a OHKO. Losing a Garchomp C lv. X with AMU in play and/or after having your hand reduced to 4 cards is devastating. You also have to be wary of Expert Belt, which takes away your chance to OHKO Jumpluff (unless you can get 3 Flash Bites off/run Belt yourself and Dragon Rush plus Flash Bite– neither scenario is common) while allowing Jumpluff to OHKO you even when you are managing your bench space well. You can also use Luxray to bring up weak Pokemon like Uxie, Crobat G and any Hoppip/Skiploom that your opponent didn't get a chance to evolve for easy prizes that diminish Mass Attack's damage output, rather than go head-to-head with Jumpluff itself. If your opponent runs Luxray, it should be one of the first things you Dragon Rush (obviously the regular form and not the lv. X) after you bring up Claydol with Bright Look. You don't want your opponent to Warp Point out of the lock AND get a Bright Look of their own off against you. Because Hoppip has an abysmally-low 30 HP, you actually have decent odds of donking your opponent or at least scoring a quick KO with either Luxray or Garchomp (or Ambipom). You might also be able to KO a Hoppip via 3 Flash Bites. Kettler Edit: Due to Claydol being a nonfactor in Majestic Dawn-on, I feel like this matchup has changed siginificantly enough to warrant some extra discussion. There are two popular variants of Jumpluff out right now: one which runs Spiritomb and Vileplume; and another which runs high counts of Pokemon Communication/Supporters/other cards meant to produce a "turbo" effect. *To have the best possible time defeating the Spiritomb AR/Vileplume UD variant, you may need to treat the early matchup much like the Vilegar matchup – that is, Bright Look up Vileplume as soon as possible, and take it out shortly thereafter with Zen Blade (ideal), two Flash Impacts, or three little attacks if the opponent doesn't have enough energy to retreat yet. *To have the best possible time defeating the turbo variant, it may actually be in your favor to snipe Jumpluffs whenever possible. However, Mesprit and possible hand disruption will give you a ton of trouble, so watch out. Power Spray will be a lifesaver here, both in halting high-yield Uxie Set Ups, as well as painful Psychic Binds or Crobat G Flash Bites. This matchup may take some practice to get a good feel for when and where to Power Spray, but the quintessential "modern" list (3 Power Spray and at least 1 Junk Arm) should make life very easy for you here. In both matchups, be sure to limit your bench whenever possible! This is a match-up that will generally require you to be on your toes the entire game just like in the mirror match. Expect to be burned out by the finish. The central combo of the deck revolves around Healing Breath removing all of the damage from a Belted Dialga G lv. X tanked up with Special Metals; Warp energy/Warp Point, Bronzong G and Poketurn all allow the opponent to continually abuse Healing Breath while losing no energy or getting stuck with Garchomp active after it heals. Because of your heavy reliance on trainers, Deafen hurts you just like Spiritomb does but moreso because the effect is placed on you and is not contingent upon Dialga remaining active. Unlike Keystone Seal, Deafen also does damage– not alot, but damage nonetheless. Even 10 damage on Garchomp C can be a big deal if it isn't allowed to Healing Breath– an opposing Garchomp C only needs to Earthquake for a OHKO instead of Dragon Rush, which can be huge. Luxray fortunately resists Dialga, rendering Deafen a damageless attack (unless they use it with Expert Belt attached) and keeping Luxray GL lv. X out of OHKO range from a Belted Remove Lost (whereas only a Flash Bite is needed to OHKO Garchomp C lv. X with this attack). Possessing resistance to Dialga is not enough to win the match-up, of course– Expert Belt negates your resistance and allows Dialga to 2HKO you like it does most other Pokemon. It also "resists" everything when it has Special Metals attached to it, turning what would be 2HKOs from Flash Impact/Dragon Rush into 3HKOs or even 4HKOs. Another reason that resisting Dialga is not necessarily game-breaking is Garchomp's presence; it is this card above all else that makes the match-up difficult. Your opponent can Deafen you for several turns, restricting your set up and barring you from using SP Radar to get out your lv. Xs, while they build their own Garchomp Cs on the bench to Dragon Rush yours. You might also get hit with Judge or Looker's Investigation after enduring several turns of Deafen so that you don't get to finally play down all of your trainers once the lock has ended. If that happens, you will have 4-5 cards in hand and you will have lost the first Garchomp of the game– in other words you will be in a poor position. Your opponent will also likely be running Toxicroak G promo to keep your Luxray in check should you attempt to take down Dialga with it. Although your resistance to metal isn't game-winning, it does give you an edge against Dialga itself and without the threat of a OHKO from Poison Revenge, you could comfortably rely on Luxray for most of the game, healing with Poketurn or Healing Breath before Dialga can KO you (since it can never OHKO a fresh Luxray GL lv. X barring a Belted Remove Lost and 3 Flash Bites). Since you do have to worry about Toxicroak G, however, you need to be careful how you actually go about KOing Dialga Gs. Having an Uxie lv. X ready is a good idea in case they do drop the Toxicroak against you. If your opponent gets a Belted Dialga G lv. X in play, consider using Toxic Fang against it just as you would against Donphan. Double-poison is a solid counter to the tank strategy if your opponent cannot respond with Warp Point/Warp energy right away. Also consider using Toxicroak G against it following a KO so that you can poison it in that fashion while also doing damage. Take out your opponent's Garchomps as soon as you can. You will usually be up against a 2-2 line and you should keep this in mind whenever you Dragon Rush one and leave another unleveled-up Garchomp on his or her bench. Try to set up an Ambipom G as well for the occasion when your opponent Dragon Rushes you and ends up energyless in the process. Whenever you can take a KO on a Garchomp C or Garchomp C lv. X without leaving your own Garchomps in harm's way, you should generally do it, and Ambipom G happens to be the best card for that purpose. Your opponent is going to be running Claydol. You can try to turn it into a liability by bringing it up with Bright Look and then sniping around it for a turn or two. This isn't always going to work since your opponent can immediately retreat with DCE/the aid of Galactic Switch or escape back to the bench with Warp Point/Warp energy (or simply Spray your Bright Look); sometimes, however, you will be able to pull it off. You can also try to take advantage of your opponent's reliance on Cosmic Power by Spraying it at critical times/KOing Claydol just as you would against any other deck running it– remember, Dialga/Garchomp functions at its best when it has access to largely unsearchable cards such as Special Metal, Warp energy/Warp Point and Expert Belt and so you might be able to cripple them by taking their draw power out. You might run into a counter-KO from a Garchomp C if you Dragon Rush Claydol though, or a Toxicroak G counter-KO if you kill it or Baltoy with Luxray, so be careful; attack with discretion after sizing up the current game state. Also don't use all of your Sprays on Cosmic Power. You will need them for Healing Breaths and Galactic Switches, particularly the former. You do not want to spend several turns whittling down a Dialga G lv. X only to have it completely healed, so Power Spray Healing Breath if you can. One way to ensure your benched Garchomps do not get OHKOed by your opponent's Garchomps via Dragon Rush is to level up immediately even if you have nothing to Healing Breath and do not intend to attack with it during that turn. Your opponent is probably not going to be running Luxray or any other way to bring your Garchomps active once they are on the bench, so if you level up and then retreat (ie. Poketurn your active, damaged Luxray, promote a Garchomp, level up, then retreat that for another Luxray), you take away the Dragon Rush threat and instead put them in trouble as soon as they Poketurn their own Garchomp C lv. X and rebench the Garchomp C (ie. after going for the Warp Point/Warp energy/Healing Breath combo). If your opponent tries to Deafen you early on and they have non-SP Pokemon in play such as Azelf and Baltoy/Claydol, you might consider using Ambipom G to Tail Code the Metal energy– especially if they are Special– off Dialga. – Take advantage of Luxray's resistance to Dialga to prevent OHKOs against you while being wary of Toxicroak G when you're going for the KO yourself"
Although the article remains technically uncompleted, I find that to be a good thing…You know, like how Fyodor Dostoevsky's The Brothers Karamazov was supposed to have a sequel, but didn't. I hope that transferring Alex's post from the articles section of the forum to the /blog section will give it a new lease on life.